Shaving is important for your look when you go out. It can also boost your confidence in presenting yourself. If you shave daily, you probably know what make a good shaving. The safety razors and the razor blades are the main components. 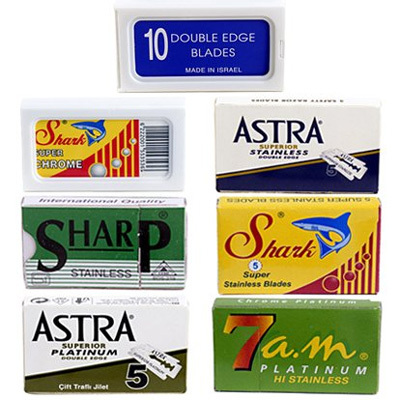 Hence, taking the safety razors aside, here are the Top 10 Best Double Edge Razor Blades. Made from Japan, Feather Razor Blades is famous for its outstanding longevity with its sharpness and smoothness for multiple-time shaves. These blades are designed to fit with different double edge safety razors. It comes with 10 razor blades. Hence, if you desire a smooth and comfortable shave, pick this one. 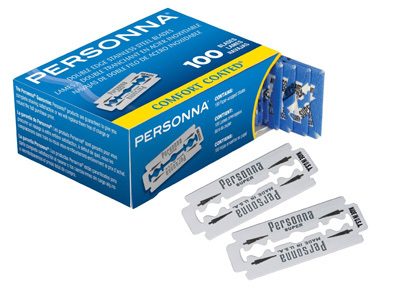 Personna Double Edge Razor Blades is crafted from glide coated stainless steel blades. What makes the blades special is its 25% sharper. In addition, to satisfy the consumers, Personna designed its razor to fit most of safety razors. Last but not least, it comes with 100 blades and it is wrapped individually which allows you to use one carton at a time. Made from Russia, ASTRA stainless double edge blades are made from the highest quality steel. It sharpness provides a smooth and comfortable shave. Moreover, the blades are designed to fit all double edge razors. It comes with 100 razor blades, each of which is individually wrapped by wax paper. Next, Derby razor blades are refined from stainless steel that is from Sweden hardened ground. The blades are deposited with chromium ceramic, tungsten and platinum for optimum edge strength for longer shaving life. On top of that, the razor blades are coated with a polymer for optimum shaving comfort from beginning to end. It comes with 100 razor blades. Choose this one for a perfect shave. 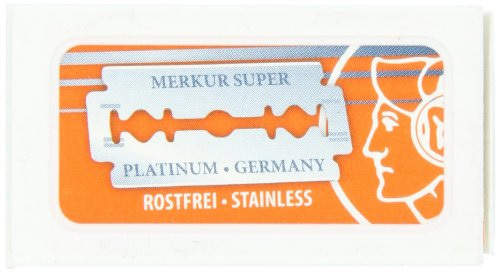 Made in Germany, the high quality Merkur-Razor Double Edge Razor Blades is made of refined stainless steel that ensures sharpness and long lasting quality. The blades provide perfect, comfortable, smooth shaves for your daily life. Furthermore, the blades are designed to fit all double edge razors and there are 10 blades per pack. Israeli Personnas is one of the most famous blade in Israel and it is also manufactured in Israel. Israeli Personnas is made of extremely high quality stainless steel that is super sharp, durable and smooth. On top of that, it fits with most of the safety razors. Due to these astounding qualities, it is always the choice of many professionals. Do you want to shave with different razor blades? You should try this one. 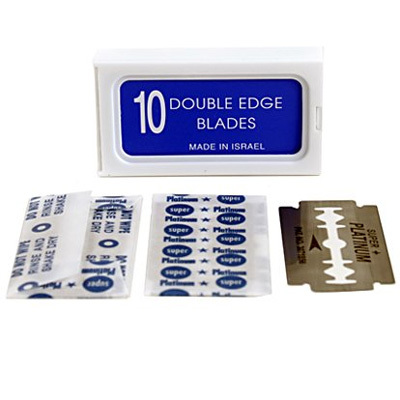 Double Edge Safety Razor Blade Variety Pack consists of 100 high quality double edge razor blades from Israel, Egypt, Russia and Asia. The packs contain many famous brands, such as Crystal Super +, Shark Super Chrome, Shark Stainless, Astra Platinum, Astra Stainless, 7AM Platinum and SHARP Stainless blades. 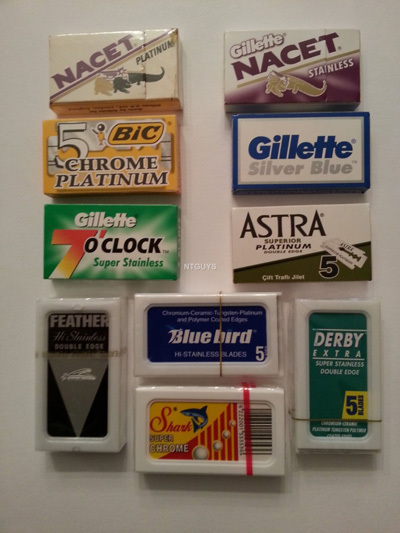 With these assortment of razor blades, you do not have to worry about your shaving anymore. 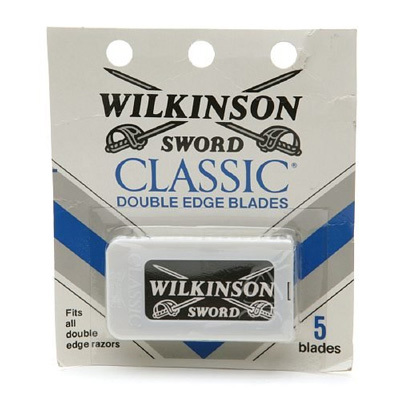 Wilkinson Sword Classic Razor of Germany is the classic double edge razor blades that are excellent on your skin. The blades are made of stainless steel that provides incredible and smooth results. Last but not least, it fits all double edge safety razors. It comes with a pack of 5 blades. Blade Sampler is genius to offer the 50 BEST Double Edge Blade which consists of 10 of the best Continental Blades in the market. These are the brands: NEW Double Edge Razor Blades 5 FEATHER Hi-Stainless made in Japan, 5 Bluebird made in Europe, 5 Derby made Turkey, Super Chrome made Egypt, 5 BIC Chrome Platinum made in Greece, and 5 NACET Stainless, 5 NACET Platinum, 5 ASTRA Superior Platinum, 5 7 O’clock Super Stainless, 5 Silver Blue, and 5 SHARK made in Russia. 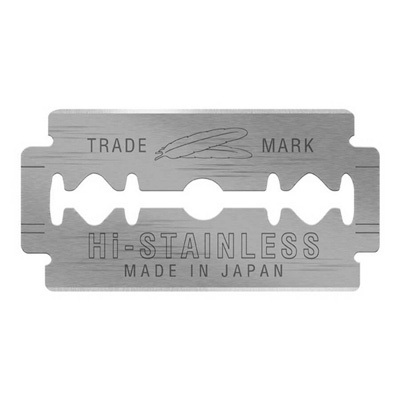 Finally, these blades fit almost all of the safety razor blades in the market. 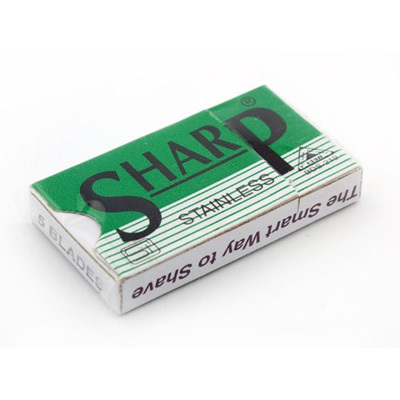 By Sharp, the blades is made from stainless steel that provides the most comfortable shave of any Double Edge blades. The blades are also polymer coated for a smooth shave and blade durability. Furthermore, it is recommended for Wet Shavers for comfort and closeness. Last, the blades are suitable for Parker, Merkur, Gillette, GEM, Schick and other Double Edge Safety Razors!